25 November 2016 – On 4 November 2016, scattered details emerged that the number of prisoners awaiting execution in Saudi Arabia increased by two. Munir al-Adam and Abdullah al-Tarif will join 57 prisoners who are either on death row and awaiting execution, who have been sentenced to death and whose cases are in appeal, or for whom the Public Prosecution is seeking the death penalty. The circumstances surrounding their arrests and sentencing resemble the cases of many others on death row, particularly those sentenced for activism and dissent. On 8 April 2012, Saudi security forces arrested 18-year-old Munir al-Adam for allegedly participating in protests in his hometown of Qatif. At the time of his arrest, he was partially blind and partially deaf. Confidential sources tell ADHRB that while in prison, authorities and police repeatedly tortured him despite medical evidence that continued abuse would worsen his disabilities. As a result, he is not able to hear out of one ear. Under duress from the abuse, Munir stated he had signed a document admitting to “sending texts” and “attacking police,” among other charges, which date from his involvement in the 2011 protests. His family rejects the verdict. They say that he could not have committed the alleged crimes, because he was too poor to own a cellphone. 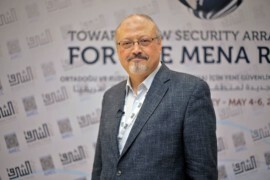 Sources tell ADHRB that when his trial began on 5 or 6 September 2015 in the Specialized Criminal Court (SCC) in Riyadh, the Public Prosecution asked for the death sentenced. Accordingto Reprieve, an anti-death penalty organization, Munir’s “confession” was the only evidence presented against him at the trial. On 27 June 2012, Saudi authorities arrested and detained Abdullah al-Tarif at the passport center on the King Fahd Causeway as he was traveling to Bahrain. At the time of his arrest, al-Tarif was 22-years-old. After arresting him, authorities disappeared him for 13 days, during which he had no contact with his family. When authorities allowed him to have a brief conversation with his family on 11 July, he told them he was being held in the Mabahith prison in Dammam, run by the Ministry of Interior. Officials allowed his family to visit him in October, but until the visit—from July to October 2012—officials held him in solitary confinement. While in the prison, authorities tortured him and forced him to sign a false confession, admitting to a number of alleged offences, including “assaulting police patrols,” “using Molotov cocktails,” “buying and selling weapons and ammunition,” and “taking part in demonstrations.” He faced difficulty obtaining legal representation, with his lawyer unable to adequately defend him, and the court did not give him a fair trial. After eight hearings, the judge sentenced Abdullah to death based on his false confession. The circumstances surrounding Munir and Abdullah’s arrest and sentencing are emblematic of the Saudi government’s attempts to suppress peaceful dissidents. Security forces regularly fail to produce arrest warrants, forcibly disappear, torture, and coerce detainees to sign a false confession. The SCC regularly uses false confessions to convict defendants in trials that are often unfair and contrary to international standards of due process. According to Human Rights Watch (HRW) researcher Adam Coogle, “Every case I read, and the way the trial process occurred, was absolutely ludicrous. They don’t even make an attempt at due process. They basically arrest them, torture until they sign a confession.” The Saudi government has sentenced 24 people to death, not including Munir and Abdullah, and 27 more face the possibility of the death penalty. Many of them have faced torture and been forced to sign a confession. Reprieve found that of those on death row, courts sentenced 72 percent to death for non-violent alleged crimes in which torture and coerced confessions were common. Saudi Arabia’s arrest and prosecution of Munir and Abdullah demonstrates a flagrant disregard for international human rights norms and its own international human rights obligations. Authorities’ torture and treatment of Munir, who was disabled prior to his arrest, contravenes the Convention on the Rights of Persons With Disabilities and the Convention Against Torture (CAT) which Saudi Arabia has acceded. Officials’ torture of Abdullah also contravenes the CAT. The government should repeal the sentences of both Munir and Abdullah and release them and all other dissidents arrested for exercising their right to freedom of expression and assembly. It should amend its domestic laws to reflect its international agreements and create and empower an independent and impartial commission to assess the government’s fidelity to its agreements.